Organizations must learn to be agile. They must learn to respond quickly to change and react without hesitation to exploit new opportunities. RDC has helped organizations across the country to improve, compete and flourish in a real-time economy. 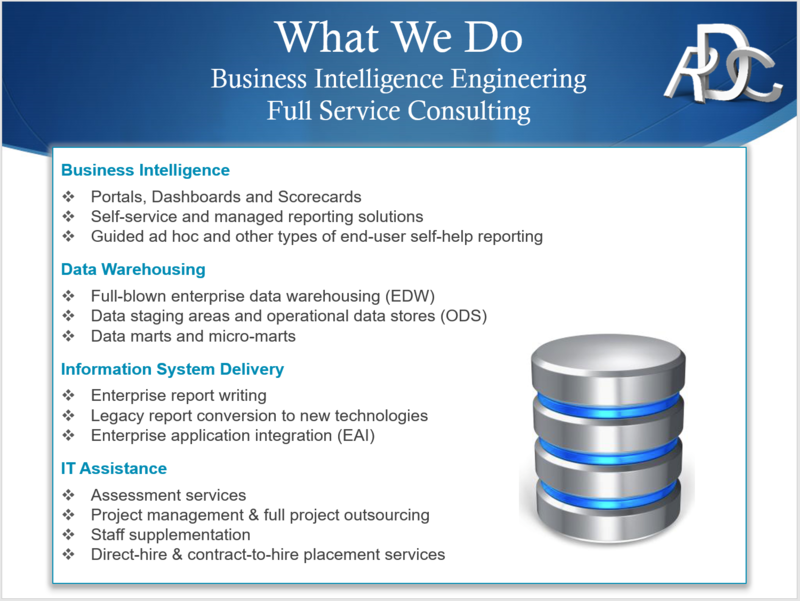 We do Business Intelligence Engineering. Having implemented hundreds of projects in Healthcare, Manufacturing, Retail, Financial Services, Insurance and more, RDC’s track record demonstrates that we have the depth and breadth of experience to engineer and deliver your digital strategy, then implement transformational solutions which assist an organization’s personnel in achieving desired results. 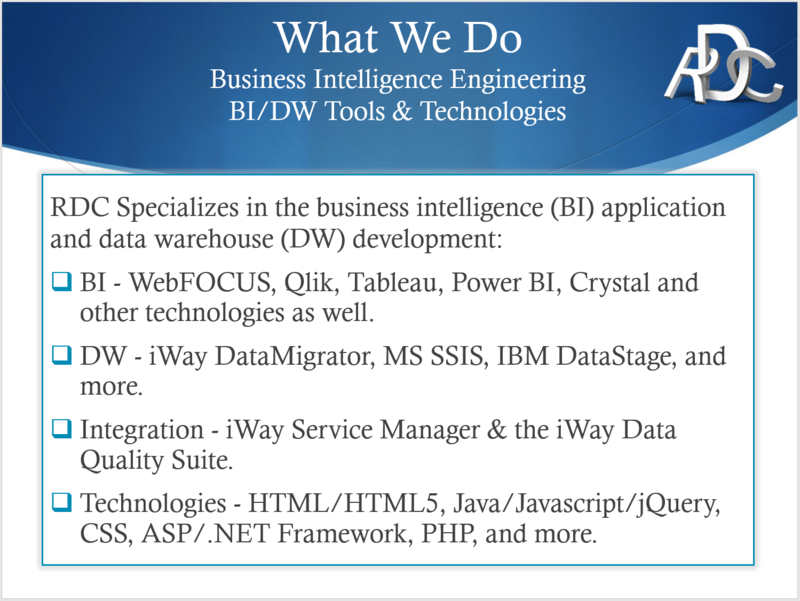 While we’ve been providing services for years with many of the most common BI & DW technologies on the market, people think of us as a WebFOCUS-only shop. Not anymore! Need help with Qlik, Tableau, Power BI, Crystal or something else? 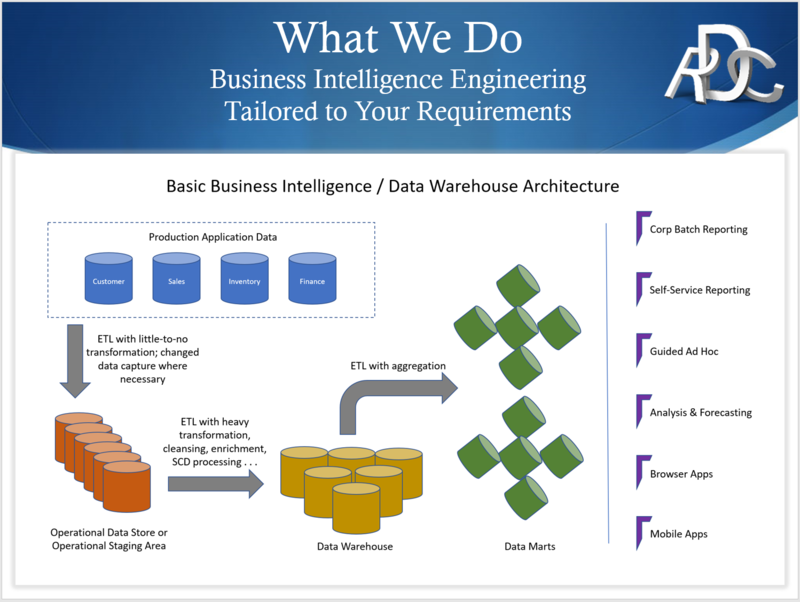 Need a Data Warehouse for corporate reporting, or a data mart for your aggregates? 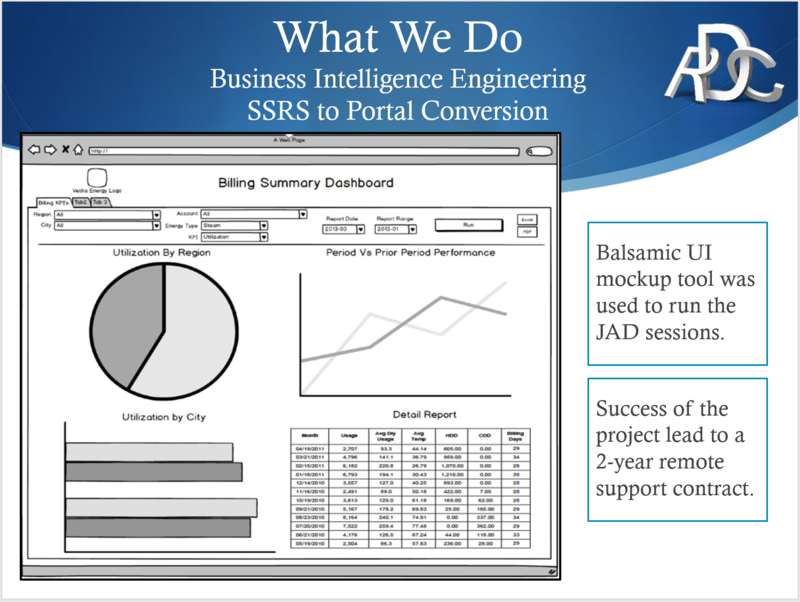 Now you have one services provider to cover all your BI and DW tools and initiatives. As they say . . . this changes everything. Bringing Your Data to Life Via the Web is What We Do! 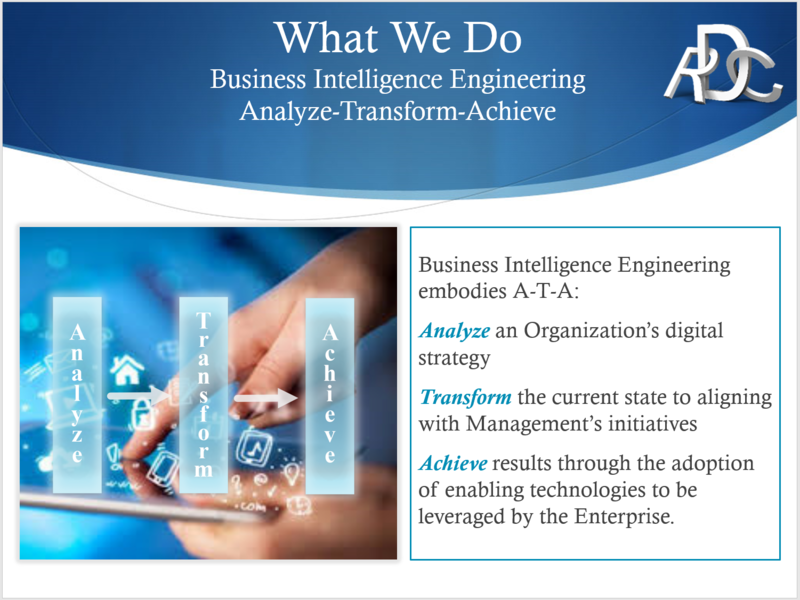 Organizations now have the widest selection of business intelligence tools ever available. Yet Qlik, Tableau, Power BI, WebFOCUS and the like can compete against each other in your organization – or they can harmonize to deliver unparalleled access to data. Internal and client-facing use. On-Premises, SAAS and Cloud deployment models. Portals offer an extraordinary canvas for data visualization. Row and column reporting remains ever-important. The key is to empower the user community to create, and thus reduce the burden on IT. Position and transform data for easy and wide access which enables better decision making across the enterprise. Prioritize efforts to do the right projects first, then manage to scope, budget and timeline. Lend a hand, short-term or long to fill resource and skill gaps at an attractive rate.